Next time you’re asked to provide an appetizer, might I suggest this one? Super simple to put together, it was the hit of a bridal shower I recently hosted. The greatest sign of a successful dish is an empty dish and this one was practically licked clean, no spare cucumber chunk or olive left behind! A few different people commented that despite their general dislike of olives, they found them perfectly suited and even necessary for this dip…so don’t omit them olive haters! 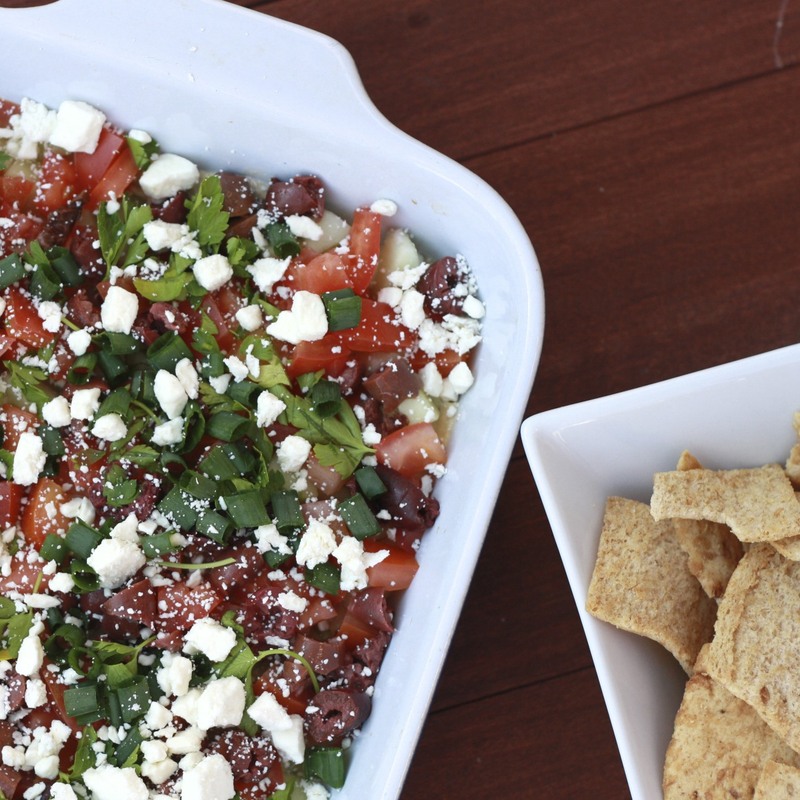 I’m always the first to dig into Seven Layer Mexican Dip at parties…the combination of sour cream, cheese, salsa, and everything else is practically irresistible. Given the choice though, I’d say this is my new favorite! 1. In a large bowl with an electric mixture, combine cream cheese, dill weed, garlic, and lemon juice until light and fluffy. Spread in the bottom of a pie plate or a small, shallow baking dish. Top with a layer of hummus. 2. 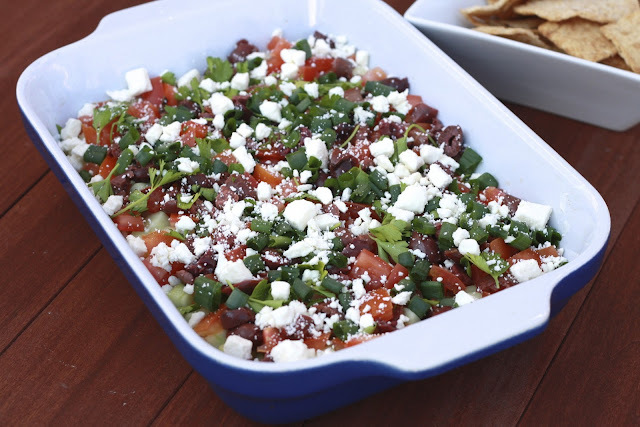 In order, create layers by sprinkling the cucumbers, tomatoes, olives, onions, feta cheese, and parsley. Cover with plastic wrap and chill for at least 2 hours, or overnight. Serve with pita chips, fresh veggies, and/or flatbread.